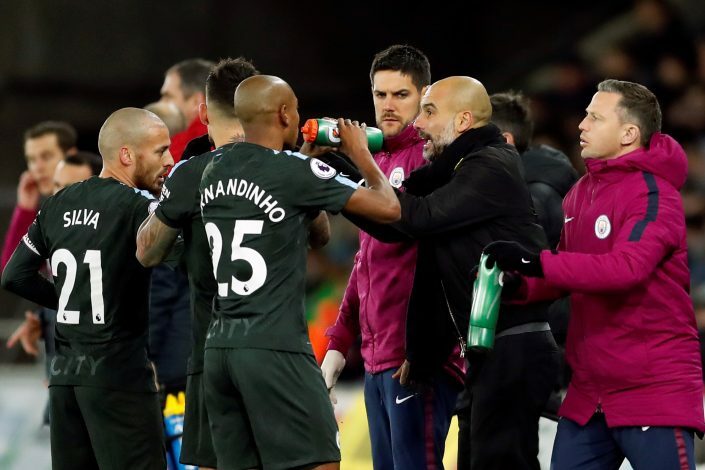 Pep Guardiola is keen on signing two defenders in the January transfer window, as he feels that his defence needs reinforcements should he be capable of challenging in all competitions. Man City’s director of football, Txiki Begiristain, has been convinced by Pep that the team needs a new left-back and a centre-back. The City boss has closely monitored Real Sociedad’s Inigo Martinez after expressing initial interest last summer. Another player on City’s radar is Southampton’s Virgil van Dijk. After expressing interest last summer, City had to abandon those plans after Southampton’s proposed valuation of £60m for the defender. Guardiola believes that with the experience of the Dutchman, his asking price is way above his actual value. The Mancunians are also looking for a cover for Benjamin Mendy. Though Fabian Delph’s form has been amazing, City would be keen on looking for options elsewhere. Guardiola was already preparing to launch a bid for Napoli’s Faouzi Ghoulam in January, but withdrew since the Algerian left-back suffered a knee ligament damage against them in the Champions League back in November. Since then, he has signed a new contract with the Italian club. With Vincent Kompany’s injury problems, Pep has made defensive reinforcements his priority. Though the Citizens plan to launch a bid for Alexis Sanchez in January, who turns into a free agent in the summer, Guardiola feels that City need to spend as early as January to maintain the stellar start they have made to this season. Besides Kompany’s availability, John Stones is also off four to five weeks in the season, thereby prompting Pep to go all out in the transfer window when it opens in the New Year.